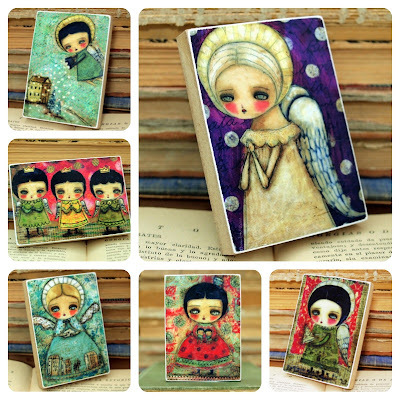 I prepared a lot of Holiday Art before I flew to Seaside Soiree, and I came back empty handed because I was sold out there... Yaay! So as soon as I landed and got back to work on my studio I scrambled to make more beautiful things for you to decorate your favorite places this holiday season. 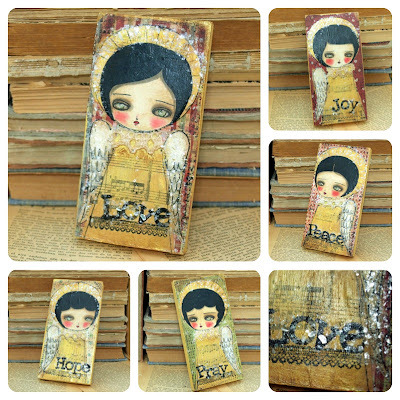 Here's a a collection of Beautiful 3x6 Inches Holiday Angels with Inspirational Phrases to cheer your holiday spirit! They are available at my Etsy Shop Right now, grab yours! This little guy I so happy that Winter is here because he can finally go out and have fun without melting. 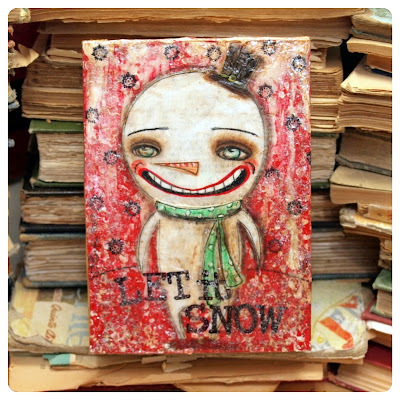 He's sitting on my studio and asked me to post him on the shop so he can go to a home in the north where he can tall you his snow stories while both of you enjoy looking at the flakes from the window. He's available on my Etsy Shop Today. 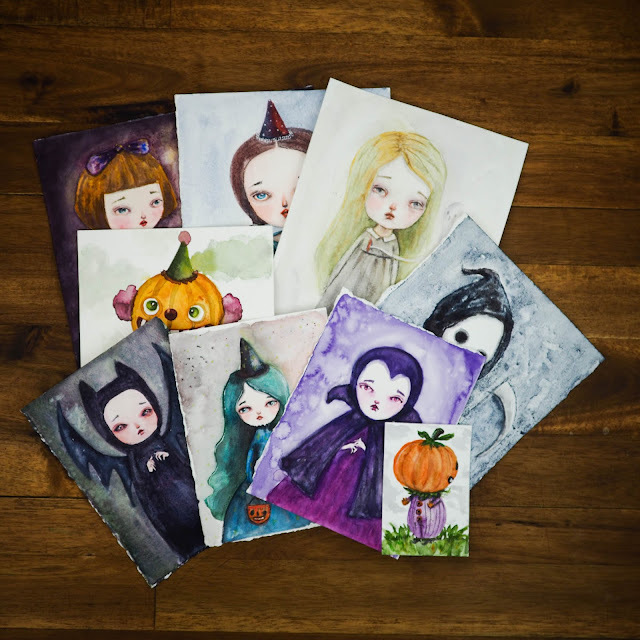 And to finish everything up, the new Holiday ACEO collection is here, with the art sold at Seaside Soiree now available in paper prints, ACEO and Larger Wood Prints if you missed out the original paintings.